Home > Have You Heard? > Noisy Planet Offers a Teacher Toolkit! Noisy Planet is pleased to offer a Teacher Toolkit, an easy-to-use online resource to help educators teach children in grades 2 through 6 about the causes and prevention of noise-induced hearing loss. The science-based classroom presentation explains what sound is, how sound travels through the ear, how loud sounds can damage hearing over time, and how to protect your hearing. Building on the success of classroom presentations conducted by the Noisy Planet team at schools in the Washington, D.C., metropolitan area, we developed this toolkit to make key resources and tools available to teachers, school nurses, audiologists, and others across the country. The Teacher Toolkit features a downloadable presentation with accompanying talking points to guide you through a 45-minute classroom session. Video demonstrations and instructions show you how to engage students with hands-on activities throughout the presentation. The toolkit also links to handouts for students and families that you can download, print, or order from the National Institute on Deafness and Other Communication Disorders' Noisy Planet website. 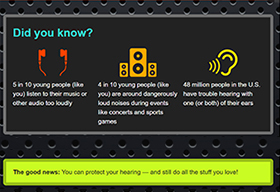 Wear hearing protection, such as earmuffs or earplugs. 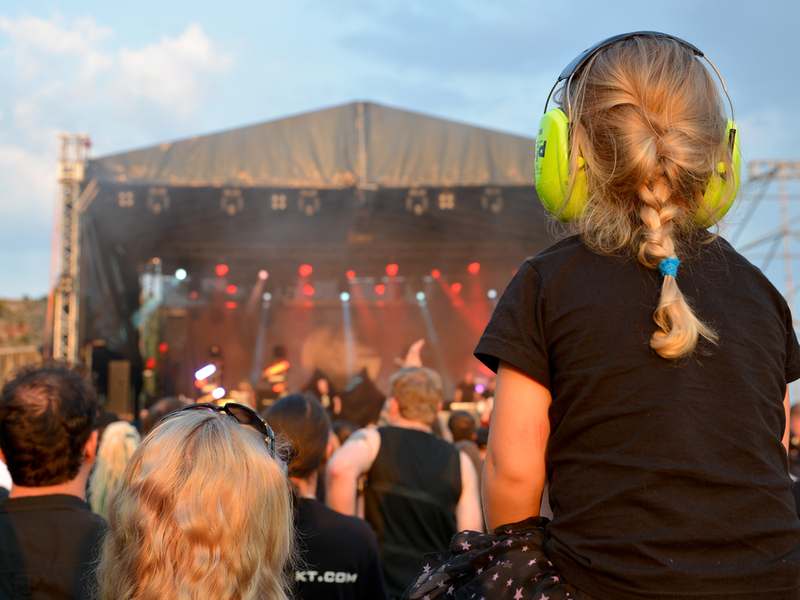 Find out how to protect your children from noise-induced hearing loss. Discover Noisy Planet activities and resources to help you. Teaching kids about the causes and prevention of noise-induced hearing loss can help them develop healthy hearing habits.